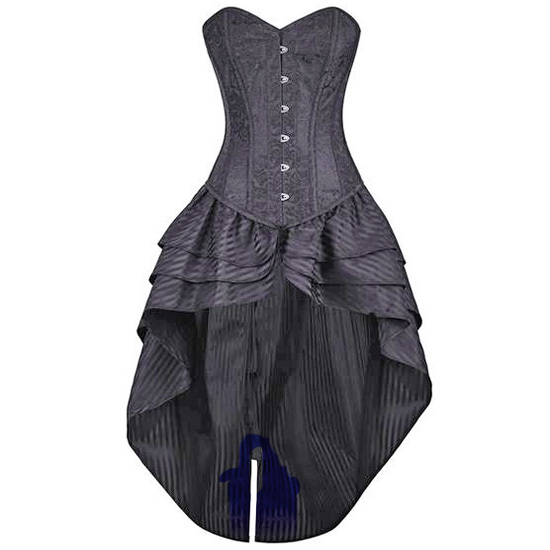 Introducing our new skirted corset line. 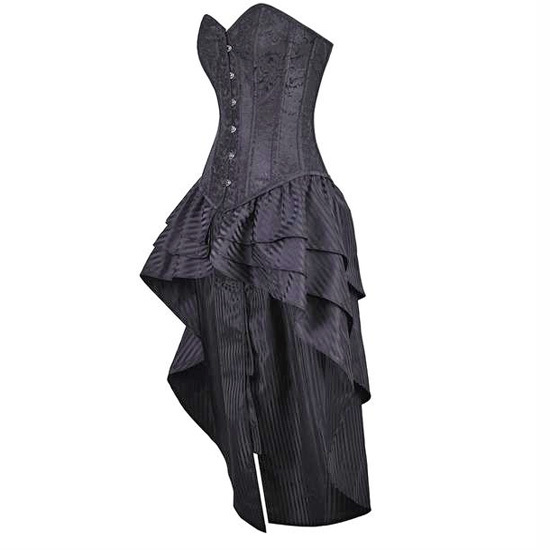 This black brocade over bust corset has a traditional busk closure. It features 10 strong spiral and 2 flat steel bones to ensure the perfect hourglass figure . 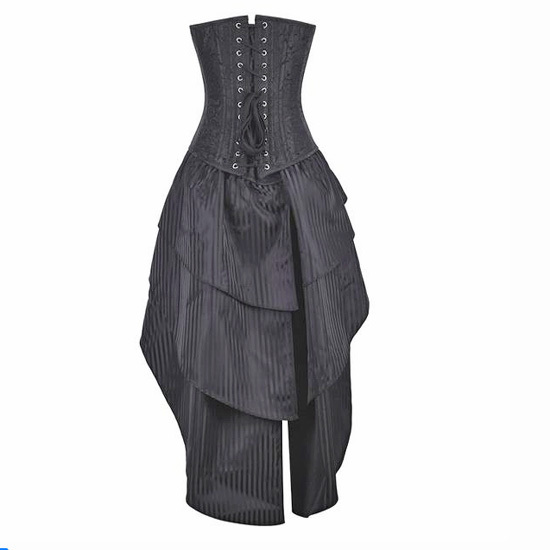 This corset, along with the attached skirting is 19 inches in the front, 21.5 inches on the sides and 41.5 inches in the back. 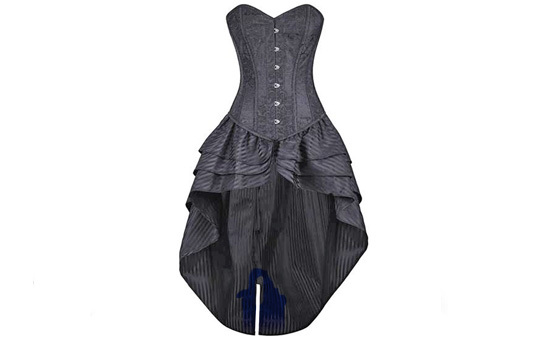 We love this fresh new take on the corset dress. The corset also features 24 stainless steel grommets in the back, a 6 inch modesty panel as well as 6 garter suspender loops at the bottom. Garters are available on the accessories page.